Garry Rogers Motorsport has stepped up the construction of the new S5000 chassis after implementing a series of development changes to the cars. The Supercars team charged to build and develop while operating as the official agent for car sales for the new V8 power single seater category has just taken delivery of four new tubs from manufacturer Onroak in the US. Since the FIA approved Onroak-Ligier S5000 car launched at Sydney Motorsport Park last year, GRM has made a series of changes to the initial chassis including modifications to the cooling system, the exhaust system, and the finalisation of the suspension and brake package specifications. Changes have arrived after the squad undertook a test at Winton and after the car made appearances at the Newcastle 500 Supercars finale and the Adelaide Motorsport Festival in December. The new developments will be implemented onto the four new tubs, and GRM is set for a busy few weeks as it aims to complete the build before the next batch of nine tubs arrive. It now has a dedicated team in place to compete the build of the cars. “We’ve had the first car for some time now and we’ve been doing a considerable amount of testing, alterations and modifications to get to the next stage,” said GRM owner Garry Rogers. 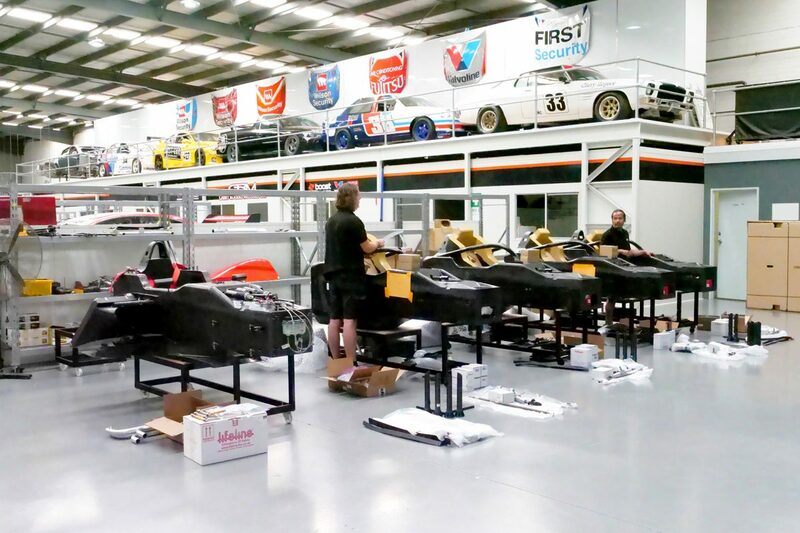 A total of 14 cars have been ordered, including the original chassis and the four new tubs, although teams and drivers are yet to be confirmed ahead of the opening round at Sydney Motorsport Park on May 17-19.